Always my favorite house warming gift! Personalized HDS Cutting Board | Stamp Family Initial $12.95 (Retail $55). Our cutting boards are ECO-Friendly making it a highly renewable resource. Our high-grade wood cutting boards are precision cut and hand sanded. 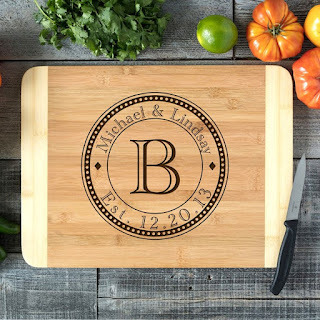 Whether you're looking to add to your kitchen home decor, give a gift to a significant other or friend, or just looking for something creative, our personalized cutting boards and other products make an unforgettable gift!